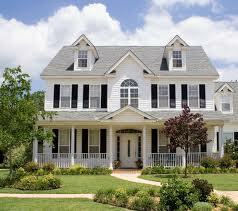 We specialize in exterior painting, one of the most important things you can do to protect your home. The harsh elements of the outdoors will eventually cause paint to fade and peal on your windows, trim ,deck and siding. Unfortunately, this will allow moisture to get in causing wood rot and other damage to your home. A good quality paint applied correctly will protect the wood and other underlying structure for many years to come. We also offer tree trimming services which seems to go hand-in-hand with exterior painting. Sometimes trees that are planted close to the home may need to be trimmed back before we can paint it. During strong winds, over grown trees can also cause damage to the shingles, guttering and other exterior components of your home. Prices for exterior painting can vary depending on the size of the home custom colors to be used, amount of trim, the number of door & windows. 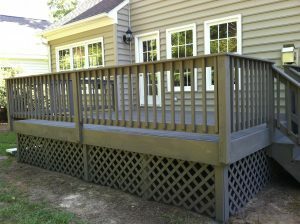 Contact us today and we’ll set a time to take a look at what you want painted and provide you with a free estimate. We’ll bring a color chart along and go over some of the choices of paint you can use for your exterior paint job.